While each contrarian opportunity is different, they share common features or attributes that aid identification. As Mark Twain reportedly said, history doesn’t repeat itself but it rhymes. So, we’ve created a list of market characteristics to help identify contrarian opportunities. For simplicity we’ll focus on listed equities given the breadth of indicators, however we can also apply these same elements to other asset classes. Here we look for a majority of investors, by type, number, and value, to be underweight and a concentration in the remaining investor types. Mutual fund and ETF investors may be a reasonable proxy for the majority, as many institutions, such as pension and sovereign wealth funds, are managed by professional, disciplined investors who can invest countercyclically knowing their funds can maintain a long-term investment horizon, although not always. This is represented by a loss of diversity in the market, with most investors underweight and ownership concentrated in more contrarian investors and long-term holders. When the majority is selling an asset and there are net outflows in the mutual fund segment, this can mean the few who are net buyers are our contrarian brethren. This means consensus expectations are low relative to reasonable base rates. For stocks we look at consensus forecasts, earnings revisions, and the ratio of analyst upgrades to downgrades. Ideally, very low growth rates, very large earnings revisions, and many more analyst downgrades than upgrades lead to price declines and positive feedback loops, with price falls driving down expectations and so on. Everyone wants to own the high-flying investment and avoid those cratering. If you didn’t own it or avoid it, you will want to feel like you did. Sentiment surveys come from various sources, but the BofA Merrill Lynch Fund Manager Survey is one of the most helpful gauges of professional investor sentiment. Analysing survey responses is different from analysing ownership and flows. As GMO’s James Montier has observed, people aren’t always honest when they respond to these surveys and are prone to suggest positions they wish they had held rather than what they actually held. And these tend to be the popular high-flying ones. This makes surveys a good sentiment gauge. The more popular an asset, the more likely it is to be traded, and vice versa. Two academics, Bhaskaran Swaminathan and Charles Lee, highlighted this in a 2000 paper in which they found that high-volume stocks underperform low-volume stocks, and high-volume stocks tend to be associated with glamor or overpriced stocks. 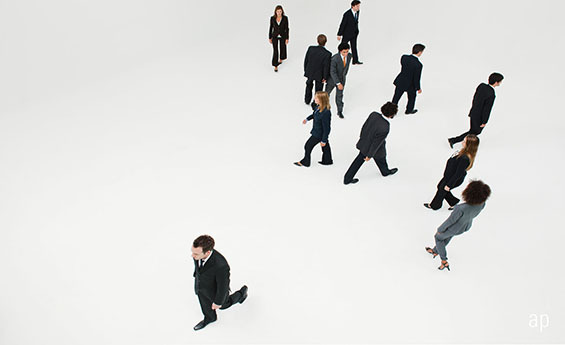 Research by Tom Idzorek and Roger Ibbotson confirmed the importance of turnover as an indicator of popularity and prospective returns. In the case of a contrarian opportunity, volume is likely lower as the investment has become unpopular, moving from being a high-volume favourite to a low-volume loser or underperformer. When a part of the market is more volatile, the possibility of excessive risk aversion is high. Periods of very high volatility tend not to last as countercyclical investors and liquidity providers step in, stabilising prices. Driven by crowding and a loss of diversity, market fragility increases market price variability. This accords with the contrarian mindset and is often avoided by shorter-term, more peer-aware investors. Measuring valuation this way differs from our usual approach, which involves estimating intrinsic value using cash flows. But we believe it’s helpful nonetheless. Here we need to be sceptical about reported financial numbers, however terrific contrarian opportunities are normally accompanied by a myriad of reasons to ignore the apparent cheapness. The important step is to account for differences in industry, capital intensity, and normal profitability levels. Traditional valuation metrics like the P/E ratio can be useful here. The above list is by no means exhaustive, and other important items – such as liquidity, issuance, and short positions – could also be considered. It is also not sufficient for investment. We believe intrinsic value is one of the most important factors when it comes to investing – along with the humility that comes with knowing that intrinsic value is never more than an estimate. Uncertainty reigns in the world of investing, which is essentially a probabilistic activity. Given investing is about probabilities, the more extreme these indicators are, the more likely an investment opportunity will be compelling. If indicators are middling or lukewarm, it is unlikely to be a convincing opportunity. When things line up across the checklist, the implied probabilities start to move in our favour. This is why contrarian indicators can help. Are These 5 Top Rated Funds Due a Turnaround? 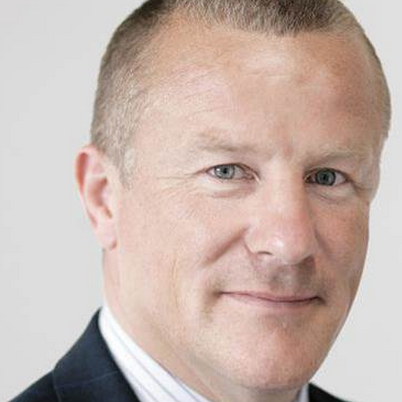 What Should Investors in Woodford's Fund Do? Daniel Needham is Global Chief Investment Officer for Morningstar Investment Management.